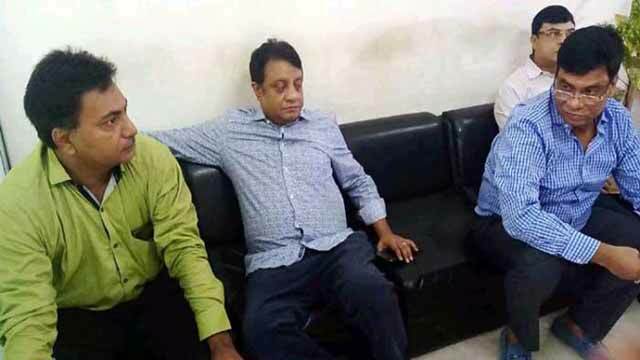 Dhaka, Dec 18 (Just News): The Chamber Judge of the Supreme Court on Monday stayed the High Court order until December 21 that granted bail to three owners of Apan Jewellers in three money laundering cases. The owners are Dildar Ahmed, Gulzar Ahmed and Azad Ahmed. A special bench of Chamber judge Iman Ali passed the order after hearing three petitions filed by the state. Deputy Attorney General Motahar Hossain Saju, the state counsel, said the petitions were initially placed before acting Chief Justice Md. Abdul Wahhab Miah as no regular vacation bench was functional today. Then, the CJ assigned the special bench of Chamber Judge Iman Ali to hear the petitions. Later, the Chamber Judge set December 21 for next hearing of the petitions in the scheduled vacation bench. Earlier on December 14, the High Court granted bail to three owners of Apan Jewellers in three money laundering cases. The HC bench of Justice M Enayetur Rahim and Justice Shahidul Karim passed the order after the final hearing on three cases. On November 22 last, the High Court issued five separate rules in five money laundering cases filed against them.